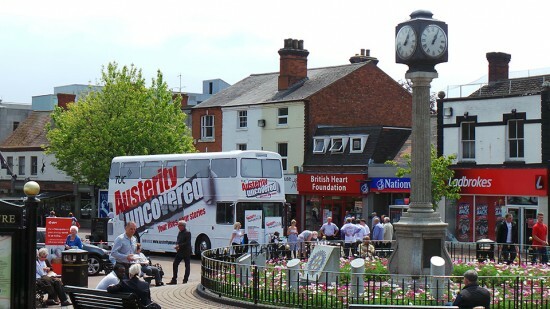 On 17th June I wrote a post announcing the launch of the TUC’s bus tour of Britain, Austerity Uncovered (http://wp.me/p3mYc5-4J). 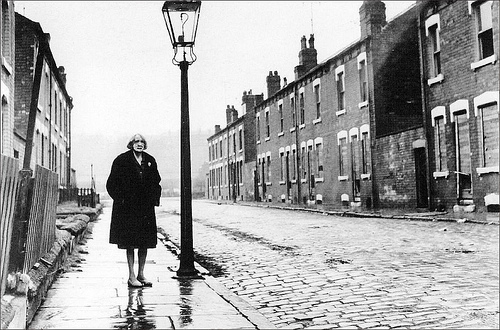 The tour finished on 29th June and has uncovered some harrowing stories of hardship from all over Britain. 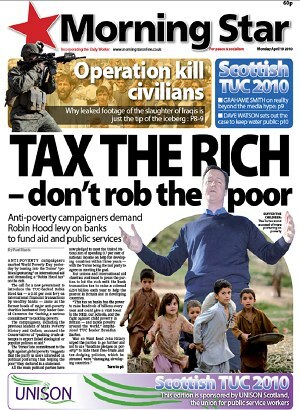 Volunteers who took the bus to towns and cities up and down the country found devastated high streets, busy foodbanks and crowds of people of all ages queueing to tell stories of their struggle to live with bedroom tax, welfare caps and precarious jobs paying low wages. Below are some of the stories and videos collected during the tour taken from the TUC website http://austerityuncovered.org/. I am getting to know Luton well. I was born in London and I live in inner London and I suppose I would have crept off to the suburbs, or the country, if I didn’t like the cosmopolitan nature of city life, the diverse cultures, noise, different foods and the vibrancy, the rough and tumble of street life. Luton has many of those colourful qualities, and yes, it is ‘edgy’. It also has a ridiculous ring road around the town centre. A triumph of planning, a nightmare for building a sense of community but highly advantageous when navigating a double-decker bus to a prime location smack outside the Town Hall, in St George’s Square, thanks to the support of the Leader of the Council, Hazel Simmons, and the positive attitude of Steve the driver. He is already a legend at the TUC. What would the people of Luton tells us about their experience of austerity, of the squeeze in pay and hours and the impact of public sector service cuts? How many of the 200,000 people who live there could we talk to in one day? The answer is lots. With up to 20 people working around the bus the stories came quick and fast, everyone a personal story, but patterns quickly developed. First, were people who had been in receipt of Incapacity Benefit but who have been assessed by ATOS as fit for work and were clearly stunned at the outcome, and really struggling with the new harsh regime of compliance with the Job Seeker’s Allowance rules. And secondly there were seemingly legions of people who had allegedly made an error in the management of their JSA Claim, or their search for work pattern, and received a benefit sanction. If a claimant is deemed to have failed to attend an interview they are likely to get a sanction – a benefit suspension of 4 weeks, rising to 13 weeks. A claimant’s right to benefit can be withdrawn for 3 years! No-one could answer the question, if you are poor enough to receive means tested benefits what are you supposed to do if the state takes the benefit away? And then astonishingly we met people who used to live in cheap rented accommodation in Luton whose landlord has recently refused to extend their tenancy because he can let the property for more money to a family who has been displaced from London by the cuts to Housing Benefit. What should a person in Luton do if confronted by such a problem? One answer is that you should seek help from ‘Luton Rights’, which is an independent centre specialising in advice about welfare benefits, debt and housing. It is one of the few of the Unemployed Worker’s Centres that the TUC recognised in the 1980s that not only survived, but it has evolved to the point where it has a legal aid franchise. At the centre I met a couple who are welfare benefit recipients. At the end of long working lives things have gone wrong for them. He has had a mental breakdown and his career as a manager in the electronics industry is over. She has diabetes, uses two crutches and has numerous other health problems. But ATOS has judged her to be fit for work. Luton Rights will do all they can to help the couple but the couple’s stark summary of their prospects was that they were “Too poor to live, and too poor to die”, as they live hand to mouth and have no means of paying for plain but dignified funerals. But Luton has attitude and it has strong communities. Its people are determined to help themselves, and mostly this means the poor helping the poor, such that those in need help those in even greater need. We met Sanum at the newly launched Luton Food Bank where she and 30 volunteers gather, sort and allocate food parcels, which are then distributed from 5 collection points. I have never seen so much breakfast cereal, but that is great, because the food bank already has hundreds of users, all of who are referred from specialist agencies in the community. Sanum and the volunteer’s good humour, good will and positive can-do attitude was a welcome antidote to the stories of hard times that we heard by the bus. But when I asked about the impact of impending changes to welfare benefits, including the introduction of welfare Universal Credit she said, “there is a storm of need coming our way in the next few months”. 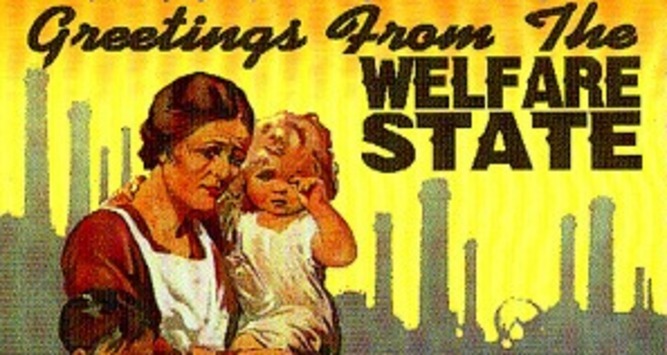 Nightmare images of hunger, poverty and deprivation are emerging as the Trade Union Congress tours Britain gathering evidence of life in austerity Britain. 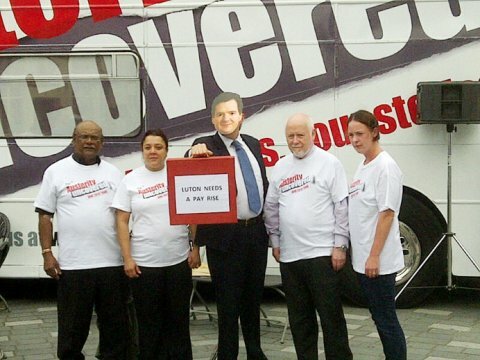 Its “austerity uncovered” bus arrived in Liverpool today on the third day of its two-week tour. People have already offered up first-hand testimonies of the appalling effects of the policies being implemented by the Tories and their Lib-Dem accomplices. The bus called first at Liverpool’s dockland Echo Arena, where public-service union Unison is holding its annual conference. Hundreds of delegates gathered to welcome the bus, along with TUC general secretary Frances O’Grady, Unison general secretary Dave Prentis and Liverpool Mayor Joe Anderson. Workers queued up to tell stories of hardship. The bus and TUC team left the docks for Kirkby and a visit to the town’s unemployed centre. It has been in operation since 1981, when it opened to help people thrown out of work by the Thatcher government’s wrecking of industry. Today it’s as busy as ever – but the job of helping people is even more difficult than in the 1980s because of the extreme government attacks on Britain’s benefit system, in particular the vicious bedroom tax. Hundreds of victims turn to the centre for help every week. Lynne Dempsey has been a money advice worker at the centre for 18 years. The tour also produced some short videos to document the views of numerous people. Here are a few. You can find more on the dedicated website (see link above). So, the people have spoken…but will the government listen? This entry was posted in austerity, poverty, Tories, TUC, Uncategorized and tagged austerity, austerity uncovered, bedroom tax, Dave Prentis, Dudley, food banks, Frances O'Grady, Halifax, Incapacity Benefit, Liverpool, Liverpool Mayor, Luton, Newcastle, Newport, poverty, Trade Union Congress, TUC, Unison, welfare cap on July 26, 2013 by sparaszczukster.